Budget 2018: Can Modi government create more jobs for India's youth? With time running out for the Modi government-general elections are just a year away-can Finance Minister Arun Jaitley work a miracle in Budget 2018 and bring good news on the employment front? 10 million: That's the number of jobs that Narendra Modi had promised us annually in his election campaign four years ago. Given that India is home to over 18 million unemployed people, this electoral promise played a big role in getting him into the Prime Minister's Office in May 2014. 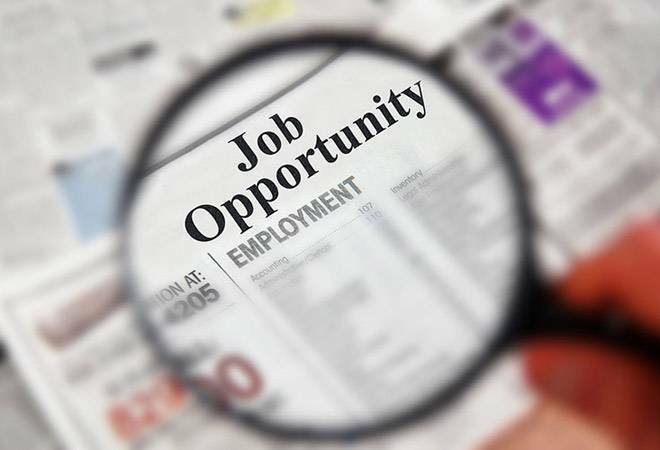 But only about 823,000 jobs had been created in the country till October last year and, according to the International Labour Organization, most of it classified as vulnerable employment. Here's the final bit of bad news-India needs to create over 1.3 million jobs per month for the next 15 years so as not to have its much-lauded demographic dividend turn into a nightmare and we are a long way away from meeting this target. With time running out for the Modi government-general elections are just a year away-can Finance Minister Arun Jaitley work a miracle in Budget 2018 and bring good news on the employment front? According to experts, if Jaitley delivers on the following wishlist in his Budget tomorrow, India's youth are sure to be a happier lot. The first step towards employment generation could be introducing the country's first National Employment Policy (NEP) in the coming Budget. The multi-pronged policy is expected to outline a comprehensive road map for creation of quality jobs across sectors through economic, social and labour policy interventions. India's organised sector created a little over 1,100 jobs a day in 2016-17 and though the rate of job creation was 2% higher than 2015-16, the NEP could catalyse things further. Significantly, it will reportedly also introduce reforms to attract enterprises and help medium and small scale industries, which are major job providers. At an event organised by NITI Aayog earlier this month, which brought together over 40 economists, employment was one of the key subjects discussed. The think-tank's Vice Chairman Rajiv Kumar said it was pointed out that educated unemployment among India's youth may be as high as 20%. In a similar vein, according to the World Bank, 30.8% of India's population aged between 15 and 29 years are NEETs (Not in education, employment or training). Making matters worse, less than half the candidates trained by the National Skill Development Corporation-under the government's flagship scheme 'Skill India'-over the last two fiscals have reportedly landed jobs. No wonder a majority of Indians want Budget 2018 to focus on skill development aimed at employment. In a recent survey by LocalCircles, which received 1.25 lakh votes from more than 200 cities, nearly 56% of respondents wanted the Budget to allocate sizeable funds for this purpose. Furthermore, according to a recent NITI Aayog policy paper, skill development has been divorced from the Apprentices Act, 1961. "These need to be merged. We have only few lakhs of apprentices whereas there should be a few million," said the think tank. In his Independence Day speech Modi had said "We are nurturing our youngsters to be job creators and not job-seekers." But that can only come about if the small and medium enterprises and micro, small and medium enterprises (SMEs and MSMEs) are incentivised to successfully create more jobs. According to a report released by the SKOCH Group last September, the Modi government's Pradhan Mantri MUDRA Yojana, which provides access to institutional finance to small business units and entrepreneurs, has led to 5.5 crore jobs in just over two years. With more incentives, the government can make more headway. According to the Business Standard, tax rate cuts and sops are also expected for employment driven sectors like manufacturing and ecommerce in the Budget 2018. An August 2017 report by UBS Securities India had pointed out that FDI inflows not only posted a compound annual growth rate of 11% under the Modi government-versus a dip of 6% seen over the previous five years-but more of it was flowing into the manufacturing sector. Historically such investments have been more towards the service sector. The Make in India initiative of the government certainly helped on that score. The report added that this trend boded well "for creating a productive spill-over impact on other sectors of the economy; for instance, boosting exports and creating jobs". But to keep investments coming in at a time when countries like US, UK and Japan and lowering business taxes, India needs to follow suit. Reducing the corporate tax rate in the coming Budget will also fuel job creation. But while the industry is hoping for the tax rate to be cut to 25%, sources in the finance ministry say that the concessions in the offing might be limited to smaller businesses and the smaller taxpayers. Firms with an annual turnover of Rs 500 million or less are already charged 25% corporate tax instead of the standard 30% but there is a proposal to move businesses with greater turnover into the lower tax band too. According to the NITI Aayog's policy paper, the bulk of India's economic growth comes from non-employment intensive sectors such as finance, real estate. On the other hand, maximum employment is in low wage employment intensive sector. "84% of jobs in firms employing 50 or fewer people, 10.5% employ 200+ employees. Only 5.5% in the all-important middle. This missing middle has to grow if incomes are to grow along with productivity. India needs changes in labour laws, help in finance and infrastructure," it noted. 2017 was a tough year as far as pink slips are concerned, which makes it all the more pressing for the Budget to offer good news on the job front. Not only have top IT firms, such as Wipro, Tech Mahindra and Cognizant, made huge job cuts, plenty of jobs are also being lost in telecom as it goes through a phase of consolidation. Some consultants say the sector lost around 40,000 people in 2017 and the trend is likely to continue. Moreover, India is set to see a further 30-40% reduction of jobs in manufacturing in 2017-18 compared with the previous year, according to recruitment firm TeamLease Services. In such tough times, India hopes Jaitley is up to the challenge.